In the 1970s, during the days of fern bar-restaurants and disco music, it seemed like everyone was ordering a white wine called “Chablis.” This order was given in the same mode wine drinkers these days casually order a “Chardonnay.” Now, while that glass of white wine may have been 100 percent Chardonnay, it could have been from just about anywhere and it was probably a pleasantly quaffable white wine. 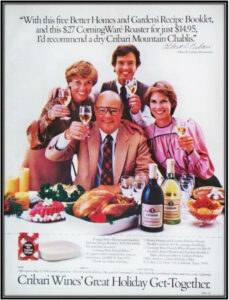 But it was most likely not a true Chablis. Back then “Chablis” was a sexier French name given to just about any Chardonnay wine in order to sell to a burgeoning audience of new-world wine drinkers. 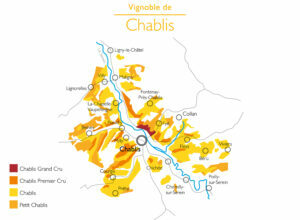 However, much in the way of Champagne, true Chablis must come from a specific region. Wine has been made in Chablis from the Roman times. It was granted AOC appellation status in 1938, albeit not fully protected from marketers outside of France “borrowing” the name Chablis. This was until the French government wizened up in the 1980s and initiated regulations to protect the designation. Chablis is an exceptionally versatile white wine always made from 100 percent Chardonnay grapes and produced in the Burgundy region of France. It is one of the five key appellations of Burgundy: the others are Côte de Nuits and Côte de Beaune (these two are often referred together as Côte d’Or), Côte Chalonnaise, and Mâconnais. 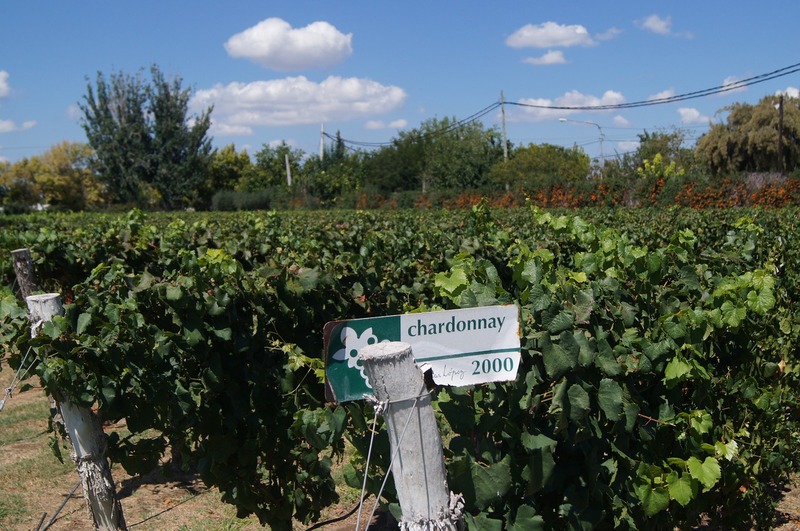 This area is the birthplace of Chardonnay, and the wines are world-renowned for their bright acidity and minerality. Chablis wines are pleasantly dry whites, brimming with palate-popping citrus notes, white flowers, white peaches, seashells, and hay. Chablis is not a super oaked wine that smothers the palate with toastiness like many Chardonnay wines can. Chablis dances on your tongue and delights the senses. In the prestigious realm of Burgundian wines, Chablis wines are the fitted designer jeans with a crisp white shirt that you can wear stylishly every day as compared to the haute couture ball gowns of the Côte d’Or. If you’ve experienced palate fatigue from those overly-oaked Chardonnay wines, you’ll feel refreshed with a glass of Chablis. 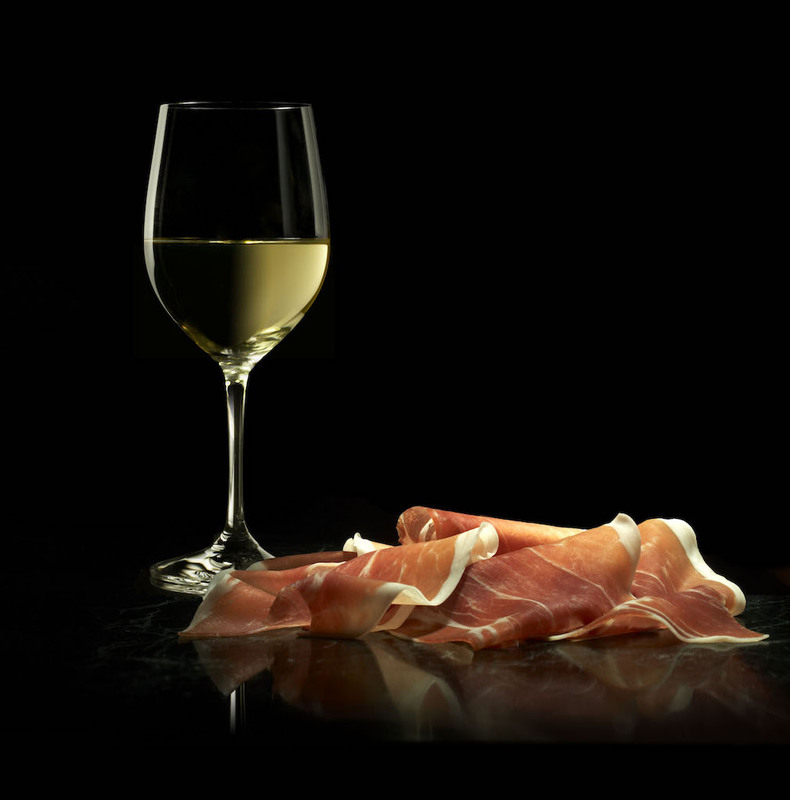 For this reason, it’s a wine that complements many foods rather than overpowers. 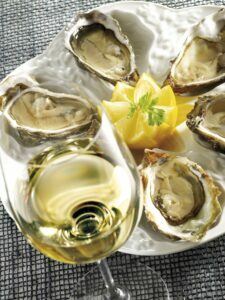 One of the true classic wine and food pairings is a glass of chilled Chablis with fresh raw oysters. The brine of the oyster jus with the tart spritz of lemon and fresh herb flavor of Chablis is swoon-worthy. 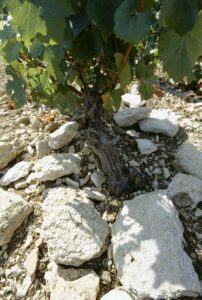 Chablis’ bright mineral character is thanks to its location and soil. The production region lies at the northernmost tip of Burgundy, just under 100 miles south from Champagne. The weather is colder and damper than the more southerly parts of the region, which results in wines that have more tart fruit than sweet, and more zest on the palate. The primary soil is Kimmeridgian, a chalky grey-ish-white mix of iodine-rich limestone and clay sediment, fossilized mollusk shells, and algae. This soil is also found in subregions of Champagne just to the north and Sancerre (in the Loire Valley) to the west. This soil helps impart the stoniness and wisp of salinity that is the benchmark of Chablis wines in general. The wines are also fermented in stainless steel which lends to their tart fruit, fresh herbs, and soft floral character. Some vintners use barrels to ferment the Grand Crus to add just a tad of toastiness. Unique to all wines in Burgundy is the Climat, a historical custom and official designation for identifying a wine’s specific terroir, or sense of place. The Climat is a precise parcel of land reflecting the exact climatic and geological origins of the wine. There are literally thousands of Climats throughout Burgundy. The other term to know is lieu-dit which refers to an even smaller plot of land noted for its unique topography or historical significance. A wine estate can have plots of vines located in several different Climats, within which specific lieux-dits may be located. While the references are often used interchangeably, here is a key difference in Chablis: Climats are reserved for Chablis Premier Cru and Chablis Grand Cru appellations. You would not see a Climat on the label of either a Chablis or Petit Chablis bottle. However, lieux-dits can apply to all categories. Petit Chablis, as is its name indicates, is the lighter more citrusy, pale white Chablis. It is best enjoyed young, fresh, and chilled as an apéritif or as a picnic wine with sandwiches and salads. Petit Chablis represents about 18 percent of production for all Chablis wines. 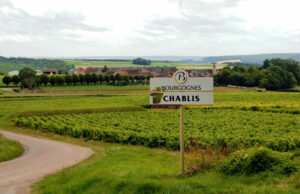 Chablis is the most widely available wine of the four appellations. Extremely versatile with food, the crisper and steelier character of this wine is a classic pairing with fresh oysters. But it also goes well with shrimp cocktail, escargot, or selection of goat cheeses. Chablis Grand Cru is the big kahuna in regards to flavor and price point. This wine pairs with most lobster dishes as well as foie gras, roast chicken with mushrooms, or a fish cooked in cream sauce. Located on the right bank of the Serein, Chablis Grand Cu has seven Climats: Preuses, Bougros, Vaudesir, Grenouilles, Valmur, Les Clos, and Blanchot. When you purchase a bottle of Chablis in a restaurant or retail store, you will notice that the appellation (e.g. Chablis Premier Cru) and the Climat (e.g. Montmains) are both prominently displayed on the label, often eclipsing the name of the wine estate usually listed at the top. Flashing back to the 1970s, U.S. wine consumers were just discovering the pleasures of drinking wine without reading too much into what was in the glass. “Chablis” was a catchall word for a style of white wine. But, thankfully times have changed. And just as the fashion statements of that era, like platform shoes, peasant tops, and polyester maxi dresses, have been tastefully updated to become contemporary classics, so has our appreciation for French Chablis. These days savvy wine consumers want the “real deal” when they order a glass or bottle of Chablis and they are willing to pay a bit more for the pleasure. Burgundy is home to many outstanding Chablis producers, here are five I recommend. All are committed to organic or biodynamic farming practices. Philippe Goulley: This 13-acre estate is located within Petit Chablis, Chablis, and Chablis Premier Cru’s Montmains and Fourchaume. Philippe Goulley has been committed to organic farming since 1991. Domaine Christian Moreau Pere & Fils: Founded by a coopersmith, Jean Joseph MOREAU, in 1814 is now run by the sixth generation. Grapevines average 45 years old, and the fruit is hand-harvested. Domaine Billaud-Simon: Charles Louis Noël Billaud founded this winery In 1815 at the end of the Napoleonic wars. The Domaine includes four Grands Crus: Les Clos, Vaudésir, Les Preuses, and Les Blanchots. And four Premiers Crus: Montée de Tonnerre, Fourchaume, Mont de Milieu and Les Vaillons. Domaine William Fèvre: Established in 1959, William Fèvre is one of the biggest landowners in Chablis with 78 hectares of prestigious vineyards, over half of which are classified as Premiers Crus or Grand Crus. Maison Joseph Drouhin: Founded in Beaune in 1880, Maison Joseph Drouhin encompasses vineyards in Côte de Nuits, Côte de Beaune, Côte Chalonnaise, and Chablis. More than two-thirds of are classified as Premier and Grand Crus. Drouhin was one of the first to embrace “culture raisonée”- sustainable, pesticide-free farming in Burgundy. *For more on Chablis, check out our Chablis tasting with Sabra Lewis on Somm Tasting Notes!